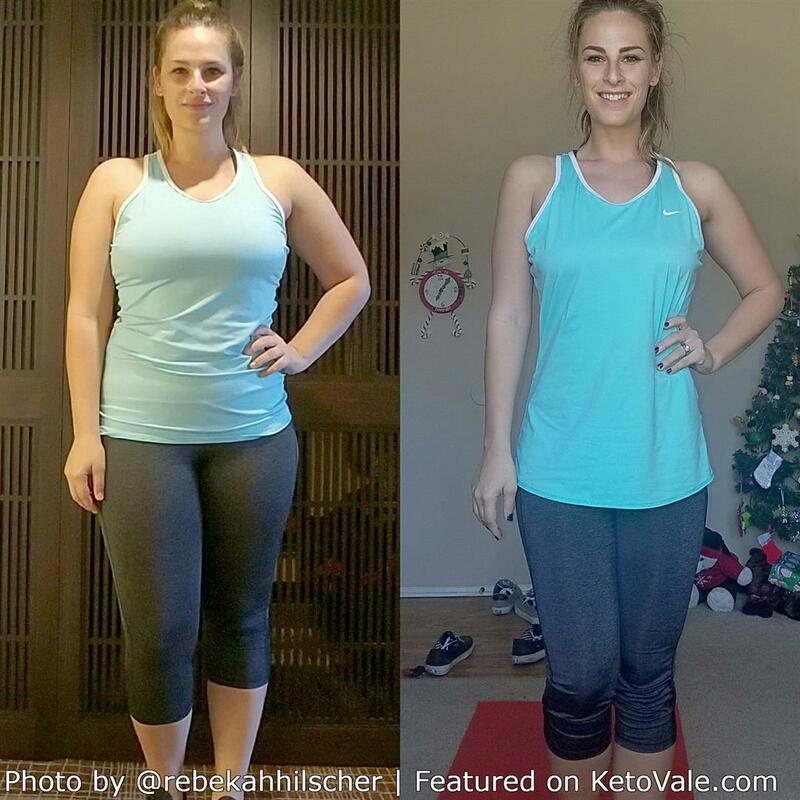 Today we are so incredibly excited to share with you another amazing keto success story from Rebekah Hilscher. Just like many mothers, Rebekah struggled to lose the “baby weight”. 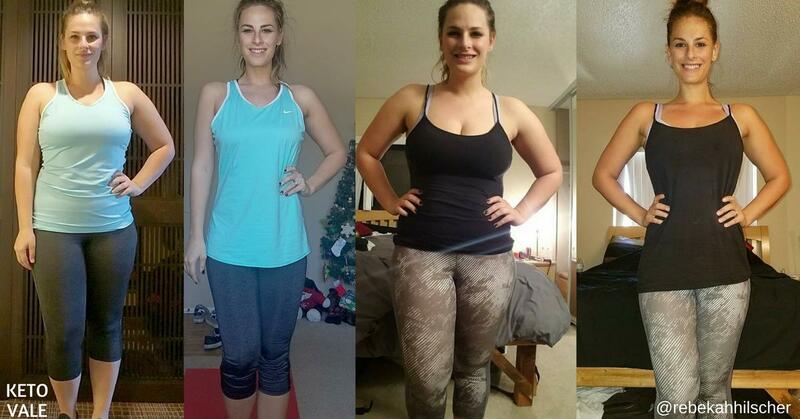 Thanks to her hard work, consistency, and dedication to keto, she has lost over 57 pounds! 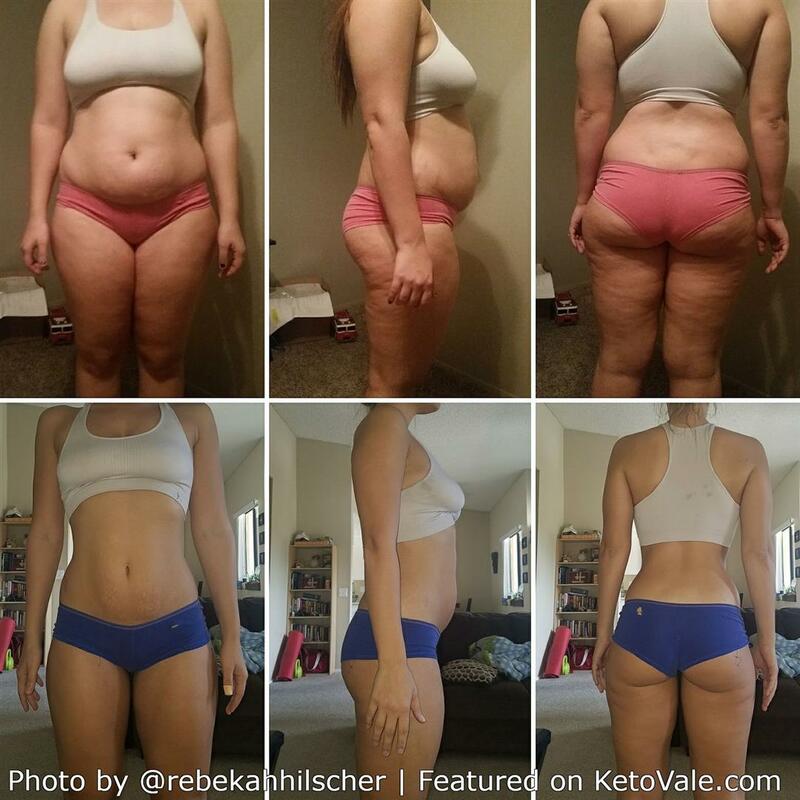 In this article, Rebekah will share with you her top tips and how she was able to achieve this awesome transformation. 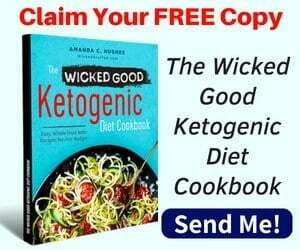 If you’re new to the keto diet and wondering how ketosis works, feel free to check our keto guide for beginners here and meal plans here. I am 26 years young and live in one of the best beach cities on Earth. The city is Oceanside in San Diego, California. My weight has fluctuated my whole life. I used to do extreme diets to lose or I would eat the bare minimum. After I had my son in March of 2013, I struggled with losing the “baby weight”. I would lose 20 lbs here and there but would always gain it right back. The beginning of this year, I stepped on the scale and it was at a whopping 210 lbs! It was like a giant slap in my face. I had known that I gained a lot of weight but I didn’t realize that my 5’8″ frame was now weighing over 200 lbs. I decided to talk to my friend Steven Robbins about the Keto Diet because it had worked so well for him. I was hesitant because it was going against everything I was taught! I told him I would try it for 6 weeks… Well, it’s been roughly 48 weeks and there’s no stopping in sight. I have lost 57 pounds and 42.4 inches. I have gained confidence, healthier eating habits and have learned to love myself at every pound. Keto has changed my life in so many ways. It has helped with sleep, brain fog, energy and has a great community behind it. I am able to understand my body’s needs from it wants. The first ten days of Keto were filled with chicken broth, bacon, eggs, and SO MUCH WATER! I started using an app for workouts the same day that I decided to try keto. I definitely counted macros closely the first few months but the more comfortable and understanding I was getting about my new way of eating, the less I tracked. I still use Myfitnesspal to input the food I am eating and the amount of water I drink every day and I don’t think I will ever not use that app to help keep me on track. I worked out every single day for the first 9/10 months of my new journey. The workouts were all at home and were body weight exercises such as planks, wall sits, various squats, various leg lifts, crunches, bridges, etc. I now do a more intense workout every other day using my kettlebells, I still use the 30 Day Challenges app which has the body weight exercises I have been using from the get-go. My son and husband are my drives to stay focused and healthy. The confidence I have gained from losing the excess weight and from the mental garbage that came with it is enough to keep me going. I love that my son works out with me (sometimes) and that both he and my husband tell me that they are proud of me every single day. They are my biggest motivators and my biggest motivation. Also, living in a beach community was so difficult because I constantly compared myself to others but since the day I started keto, something in brain clicked and I suddenly had so much confidence and pride in myself. I still fail sometimes but I have come so far mentally. Favorite ingredients would have to be almond/coconut flour, eggs, bacon, and beef! You can make so many different things so that you don’t get bored! My favorite keto meals are the usual eggs with bacon/sausage for breakfast or Flaxmeal Pancakes! I also love bunless burgers, keto savory waffles, and roasted veggies! 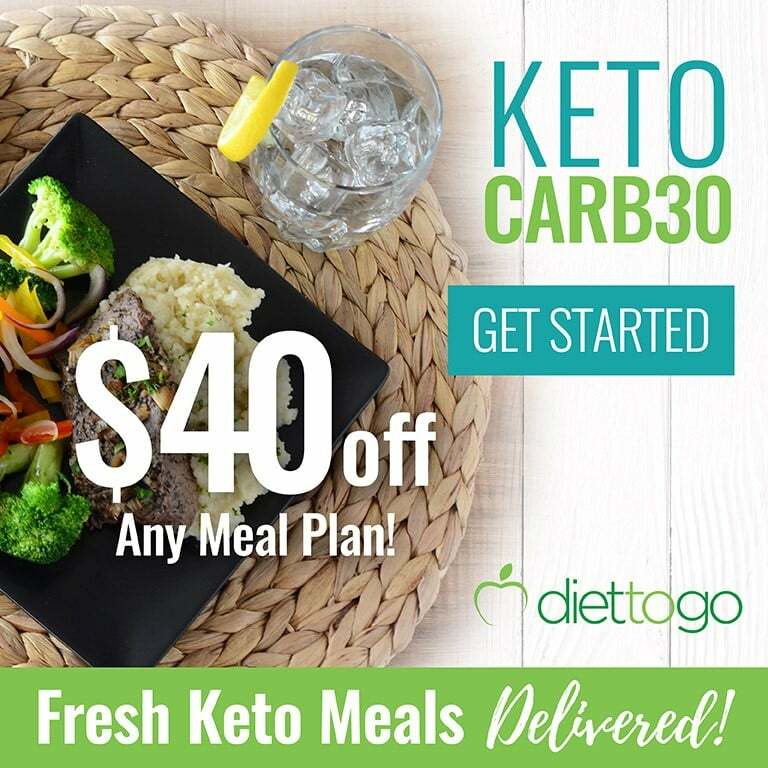 I love the DietDoctor.com website or Keto groups on Facebook! I am successful with keto because it isn’t a diet for me, it is a lifestyle. My advice would be: stay strong, don’t beat yourself up if you fail and don’t focus on the scale. We’d like to thank Rebekah again for sharing her story and tips with our community! You can follow Rebekah on Instagram at @rebekahhilscher for more motivation and tips from her.